This article by Henri de Villiers was originally published in French on the website of the Schola Sainte-Cécile in 2014. It will be reproduced here in my English translation in a few parts, since it is fairly long, and definitely worth a careful read. In it, Henri examines the universal Christian tradition of the preparatory period before Lent in the various forms in which it is practiced by the Eastern and Western churches. In all ancient Christian liturgies, one finds a period of preparation for the great fast of Lent, during which the faithful are informed of the arrival of this major season of the liturgical year, so that they can slowly begin the ascetical exercises that will accompany them until Easter. This preparatory period before Lent generally lasts for three weeks. In the Roman Rite, these three Sundays are called Septuagesima, Sexagesima and Quinquagesima, names which derive from a system used in antiquity, counting the periods of ten days within which each of these Sundays falls. They precede the first Sunday of Lent, which is called Quadragesima in Latin. The churches of the Syriac and Coptic tradition have preserved an older state of things, comprising shorter periods of fasting, the fast of the Ninevites, and the fast of Heraclius, which are probably the starting point for the presence of Fore-Lent in the other rites. The reminder of human fragility, the meditation on the last things, and consequently, prayer for the dead, are recurrent elements of this liturgical season. Inexplicably, the modern rite of Paul VI suppressed Fore-Lent from its liturgical year, notwithstanding its antiquity and universality. To commemorate the fast of the Ninevites, the churches of Syria instituted a fast which runs from Monday of the third week before the beginning of Lent (the Monday after the Roman Septuagesima). These days are called “Baʻūṯá d-Ninwáyé” in Syriac, which can be translated as the Rogation (or Supplication) of the Ninevites. It seems that this fast initially lasted the whole week, more precisely, from Monday to Friday, since fasting on Saturday and Sunday are unknown to the Orient. (However, abstinence without fast may continue through these days.) 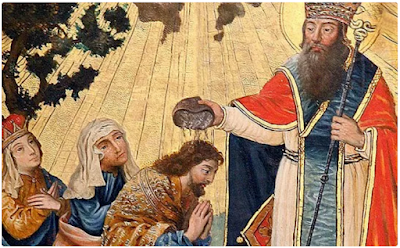 The fast of Nineveh was eventually reduced to three days: Monday, Tuesday and Wednesday, while Thursday became a “day of thanksgiving of the Ninevites” in the Assyro-Chaldean rite. Traditionally, the number of these three days of fasting is explained by the three days passed by Jonah in the whale. This fast of Nineveh, which is very strict, is still kept by the various Syriac churches of both the Eastern tradition (the Chaldean, Assyrian and Syro-malabar churches) and of the Western (Syriac churches). 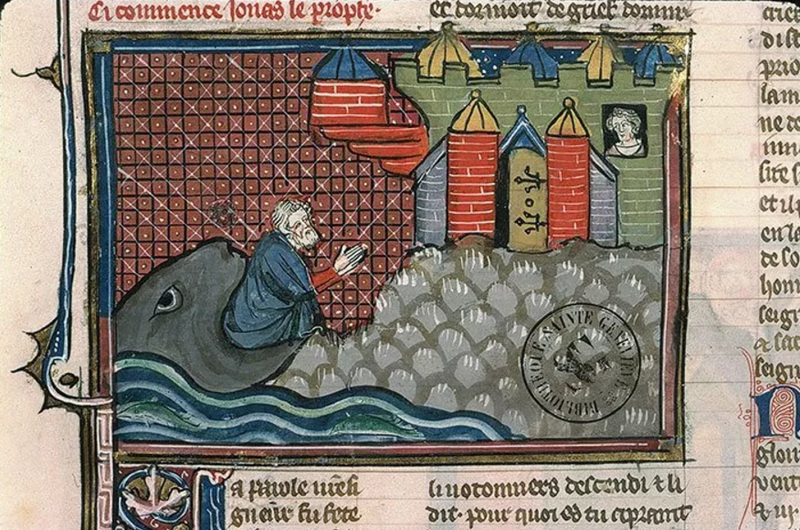 The book of Jonah is read, among the Assyro-Chaldeans, at the Divine Liturgy of the third day. This fast remains very popular; some of the faithful drink and eat nothing at all for the three days. Alone among the church of the Syriac tradition, the Maronite Church no longer has the fast of the Ninevites properly so- called, but has adopted the arrangement which we will discuss later on of the three weeks of preparation for Great Lent. 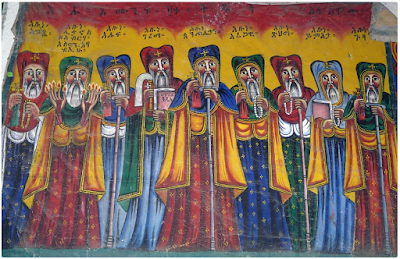 The Egyptian Coptic Church, and likewise the Ethiopian, received from the Syrian churches this custom of the Supplication of the Ninevites. In the Coptic liturgy, these three day of rogation in memory of the Fast of Nineveh, also called “the fast of Jonah,” strictly follow the liturgical uses of Lent: the Eucharistic liturgy is celebrated after Vespers, the hymns are sung in the Lenten tone, without cymbals, and the readings are taken from the lectionary of Lent. The fast of Nineveh was adopted by the Coptic Church under the 62nd Patriarch of Alexandria, Abraham (or Ephrem, 975-78), who was of Syrian origin. 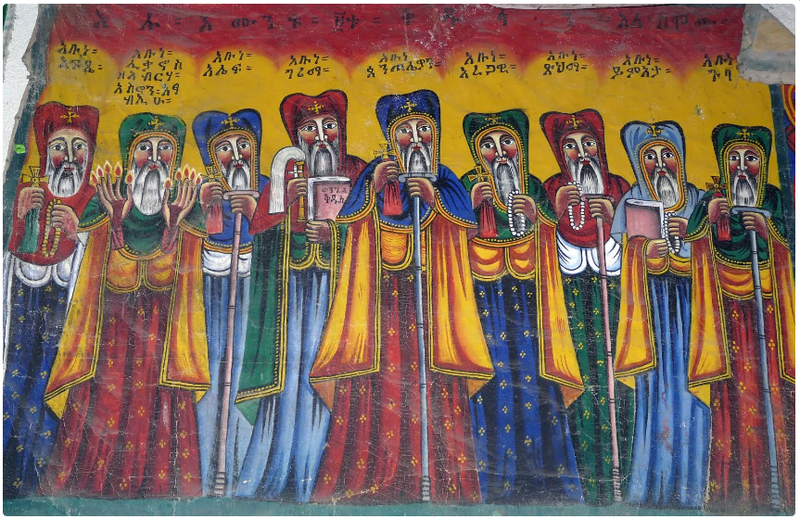 It is possible that it was adopted more anciently in Ethiopia; the first bishop of Axum, St Frumentius, was of Syrian origin, and the Church of Ethiopia was reorganized in the 6th century by a group of nine Syrian Saints, who contributed enormously to the evangelization of the Ethiopiam countryside. The fast of Nineveh (Soma Nanawe) is very strict for them, and no one is dispensed from it. To what period does the fast of the Ninevites belong among the Syrians? Certain things indicate that it was probably practiced very anciently. Saint Ephrem, deacon of Edessa, composed hymns on the fast of the Ninevites; it seems that it lasted a week in that period, and not three days as it does today. 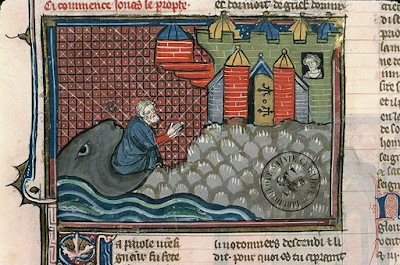 The Armenian church has a fast of Nineveh that lasts for five days, beginning on the same Monday as the Syrians, and ends on the following Friday, on which the appeal of Jonah to the Ninevites is mentioned. This is also a full week of fasting, since the Armenians also do not fast on Saturday or Sunday, a constant in the East. These days have a fast and strict abstinence like that of Lent, and Armenian writers claim that it was established by St Gregory the Illuminator at the time of the general conversion of the Armenians in 301. It is likely that St Gregory simply continued a custom already in use among the neighboring Syrian Christians. The institution of this fast, which seems to be ancient among the Assyro-Chaldeans, may then have passed (or been reestablished) in the 6th century among their Syrian Jacobite cousins at the behest of St Maruthua, the Jacobite Catholicos of Tagrit, during a plague in the region of Nineveh. It is possible that its reduction to a fast of three days instead of a week also dates to this period.